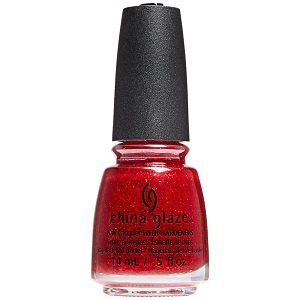 China Glaze Nail Polish, Sparkle On, 1582, .50 fl. oz. Multi-sized metallic red hex glitter in a vibrant red translucent jelly base.